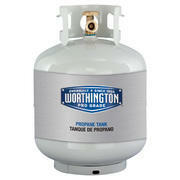 Each Patio Heater Rental comes with a full tank of propane that lasts 10 hours on medium. 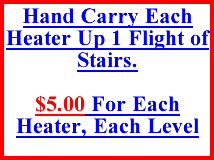 Each space heater covers 110 sq feet. 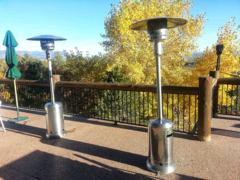 Our Patio Heaters are 7.5 Feet tall. Our Patio Heater Rental is more affordable than our competitors! This is a delivery only item. 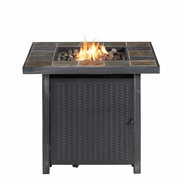 Outdoor Use Only, Not Recommended For Inside Enclosed Tents.